The title But We Loved Her was taken from a picture in the April 17, 2013 issue of the British newspaper The Independent, the day Margaret Thatcher was interred. The London-based artist collected all the newspaper articles in the days that followed Thatcher’s death, programmatically positioning these four words at the forefront of her exhibition in Vienna, and in a phase of her work that foregrounds questions about the opportunities offers by neoliberal identity, about consumer culture in a post-capitalistic society, and about their precursors. But We Loved Her is the first monograph on Ursula Mayer and accompanies her exhibition at the 21er Haus, Vienna, 13 October 2013 – 12 January 2014. 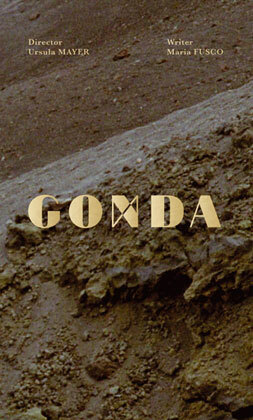 Gonda, is a book by Ursula Mayer and Maria Fusco, experiments in cinematic and linguistic registers through polyphonic monologue. Taking the form of a ciné-roman, the book is based on Mayer’s 16mm film of the same name, with a screenplay written by Maria Fusco and commissioned by Film London. Gonda is informed by Ayn Rand’s 1934 play Ideal. In the play’s script, controversial Russian American writer and philosopher Rand lays out her philosophical system of “Objectivism” with its stubbornly anti-altruistic and individualistic position. As a critical counter to Rand, Gonda creates kaleidoscopic printed spaces in which image and text shift roles to affect presupposed ideals of identity and existence. 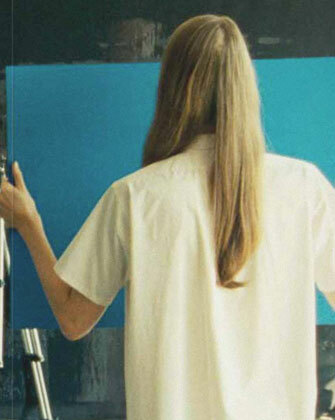 Noting how the cinematic image actually gazes back on us, the book utilizes highly stylized and precisely composed full-color imagery, and features Dutch transgender model Valentijn de Hingh. The screenplay, printed in full in this book, is accompanied with film stills. developed from a series of interdisciplinary workshops where academics, curators, critics, and writers considered the possibilities of writing through or by rather than about Rand’s play. 12 x 20 cm, 104 pages, 129 color ills.